New single-cell approach broadens range of cell types that can be studied in the brain. Broad researchers Naomi Habib, Yinqing Li, and colleagues have developed Div-Seq, a new approach for studying the brain at the single- cell level. Composite image courtesy of Lauren Solomon, Broad Communications. Naomi Habib's photo by Maria Nemchuk; Yinqing Li photo courtesy of the Zhang lab; neural stem cell image from Wikimedia. Cell populations are remarkably diverse—even within the same tissue or cell type. Each cell, no matter how similar it appears to its neighbor, behaves and responds to its environment in its own way depending on which of its genes are expressed and to what degree. How genes are expressed in each cell—how RNA is “read” and turned into proteins—determines what jobs the cell performs in the body. Traditionally, researchers have taken an en masse approach to studying gene expression, extracting an averaged measurement derived from an entire cell population. But over the past few years, single cell sequencing has emerged as a transformative tool, enabling scientists to look at gene expression within cells at an unprecedented resolution. With single-cell technologies, researchers have been able to examine the heterogeneity within cell populations; identify rare cells; observe interactions between diverse cell types; and better understand how these interactions influence health and disease. This week in Science, researchers from the labs of Broad core institute members Aviv Regev and Feng Zhang, of MIT and MIT’s McGovern Institute respectively, report on their newest contribution to this field: Div-Seq, a method that enables the study of previously intractable and rare cell types in the brain. 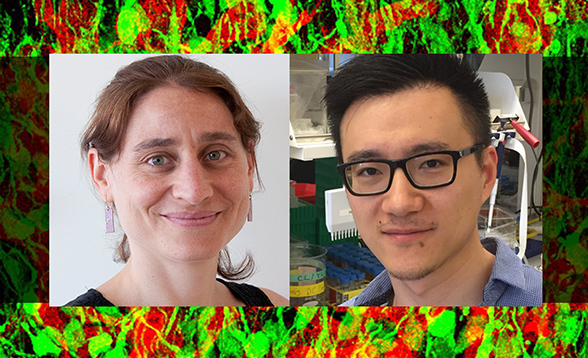 The study’s first authors, Naomi Habib, a postdoctoral fellow in the Regev and Zhang labs, and Yinqing Li, also a postdoc in the Zhang lab, sat down to answer questions about this groundbreaking approach. Why is it so important to study neurons at the single cell level? Li: Neuropsychiatric diseases are often too complex to find an effective treatment, partly because the neurons, that underly the disease are heterogeneous. Only when we have a full atlas of every neuron type at single-cell resolution—and figure out which ones are the cause of the pathology—can we develop a targeted and effective therapy. With this goal in mind, we developed sNuc-Seq and Div-Seq to make it technologically possible to profile neurons from the adult brain at significantly improved resolution, fidelity, and sensitivity. Scientifically, what was the need that you were trying to address when you started this study? Habib: Going into this study we were specifically interested in studying so-called “newborn” neurons, which are rare and hard to find. We think of our brain as being non-regenerative, but in fact there are rare, neuronal stem cells in specific areas of the brain that divide and create new neurons throughout our lives. We wanted to understand how gene expression changed as these cells developed. Typically when people studied gene expression in the brain they just mashed up tissue and took average measurements from that mixture. Such “bulk” measurements are hard to interpret and we lose the gene expression signals that come from individual cell types. 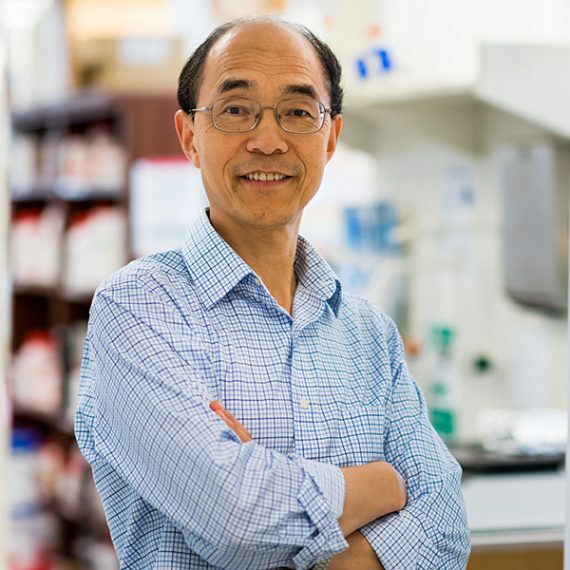 When I joined the Zhang and Regev labs, some of the first single cell papers were coming out, and it seemed like the perfect approach for advancing the way we do neuroscience research; we could measure RNA at the single cell level and really understand what different cell types were there, including rare cells, and what they contribute to different brain functions. But there was a problem. Neurons do not look like regular cells: they are intricately connected. In the process of separating them, the cells do not stay intact and their RNA gets damaged, and this problem increases with age. So what was your solution? It worked well. We get a lot of information from the RNA in the nucleus; we can learn what cell type we’re looking at, what state of development it’s in, and what kind of processes are going on in the cell—all of the key information we would want to get from RNA sequencing. Then, to make it possible to find the rare newborn neurons, we developed Div-Seq. It’s based on sNuc-Seq, but we introduce a compound that incorporates into DNA and labels the DNA while it’s replicating, so it’s specific for newly divided cells. Because we already isolated the nuclei, it’s fairly simple from there to fluorescently tag the labeled cells, sort them, and get RNA for sequencing. You tested this method while preparing your paper. What did you find? Habib: We studied “newborn” neurons from the brain across multiple time-points. We could see the changes in gene expression that occur throughout adult neurogenesis; the cells transition from state-to-state—from stem cells to mature neurons—and during these transitions, we found a coordinated change in the expression of hundreds of genes. It was beautiful to see these signatures, and they enabled us to pinpoint regulatory genes expressed during specific points of the cell differentiation process. We were also able to look at where regeneration occurs. We decided to look in the spinal cord because there is a lot of interest in understanding the potential of regeneration to help with spinal cord injury. Div-Seq enabled us to scan millions of neurons and isolate the small percentage that were dividing and characterize each by its RNA signature. We found that within the spinal cord there is ongoing regeneration of a specific type of neuron—GABAergic neurons. That was an exciting finding that also showed the utility of our method. Are the data you get from this method compatible with data from previous single-cell techniques? Li: Because this method is specifically designed to address the particular challenges of profiling neurons, the data from this method is distinct from that obtained from previous single-cell techniques. Since the data was new to this approach, a novel computational tool was developed in this project in order to fully reveal the rich information, which is now available to the scientific community. Are there other benefits of using this method? Habib: Single nucleus RNA-seq enables the study of the adult and aging brain at the single cell level, which is now being applied to study cellular diversity across the brain during health and disease. Our approach also makes it easier to explore any complex tissue where single cells are hard to obtain for technical reasons. One important aspect is that it works on frozen and fixed tissue, which opens up opportunities to study human samples, such as biopsies, that may be collected overseas or frozen for days or even years. Additionally, Div-Seq opens new ways to look at the rare process of adult neurogenesis and other regenerative processes that might have been challenging before. Because Div- Seq specifically labels dividing cells, it is a great tool to use to see what cells are dividing in a given tissue and to track gene expression changes over time. What is the endgame of studying these processes? Can you put this work in context of human health and disease? Li: We hope that the methods in this study will provide a starting point and method for future work on neuropsychiatric diseases. As we expand our understanding of cell types and their signatures, we can start to ask questions like: Which cells express disease associated genes? Where are these cells located in the brain? What other genes are expressed in these cells, and which might serve as potential drug targets? This approach could help bridge human genetic association studies and molecular neurobiology and open new windows into disease pathology and potential treatments. Habib: These two methods together enable many applications, which were either very hard or impossible to do before. For example, we characterized the cellular diversity of a region of the brain important for learning and memory—the first region affected in Alzheimer’s disease. 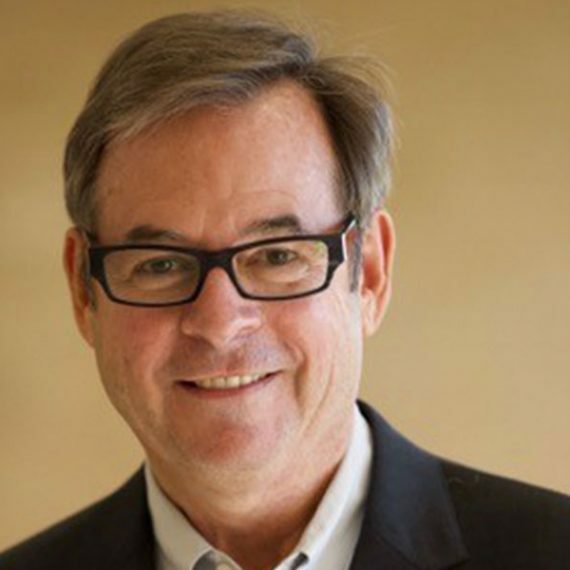 Having that understanding—knowing what the normal state of cells is at the molecular level and what went wrong in each individual cell type—can advance our understanding of the disease and perhaps aid in the search for a treatment. We are also excited by the prospect of finding naturally-occurring regeneration in the brain and spine, which could have implications for the field of regenerative medicine in treating, for example, neuronal degeneration or spinal injury. Habib N, Li Y, et al. Div-Seq: Single nucleus RNA-Seq reveals dynamics of rare adult newborn neurons. Science. Online July 28, 2016. Ask the Brain: How do neurons communicate (so quickly)?